Since BB Cream being introduced to the beauty world, I don't leave home without it. Now they do have CC Cream and even DD Cream. WTH! When is that EE Cream is coming out then??? The most common problem I encounter when buying BB Cream is the matching shade with my skin. I either end up getting the fairest or even the brownie one. When things like this goes wrong, Chingu will end complaining I look too fair on the face and look too weirdo like wearing layer of mask. "Why you look so dark today???" WTH! with that question just because you are one born fair human being? Duh!!! 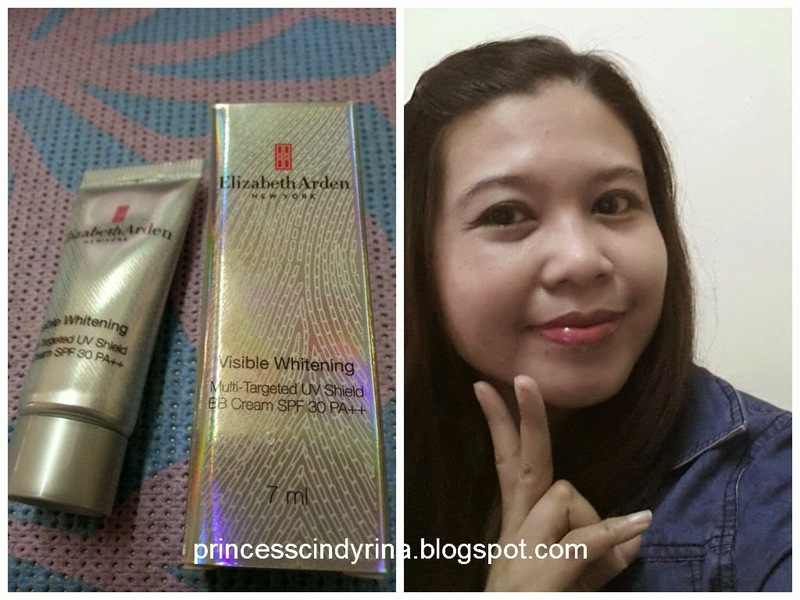 Elizabeth Arden has the answer to this, they created the transparent BB Cream, ELIZABETH ARDEN VISIBLE WHITENING MULTI - TARGETED UV SHIELD BB CREAM. This product was created for final step to the whitening range and specifically for Asian skin and promises deep down whitening effect. This BB Cream also targeted hyper pigmentation, protect skin SPF 30 PA+++, and treat the signs of aging. Oh well!!! this one IMA really need!!! I love the cool packaging too because it comes with monochrome silver tube! I don't need to use much of this BB Cream. Just 4 dots on your four face angles and even it out carefully. Then you just need to set it with a shade matching loose / pressed powder. The texture of the BB Cream is pretty sheer that you can use it underneath liquid foundation too. But IMA just use the BB Cream after the moisturiser steps. Don't want to use too many things on my face or it feels too much burden. WTH! If you see photo above are totally without any camera effect at all. Just a plain shot! I would recommend this BB Cream because it really works and looks natural! IMA was invited to join another beauty workshop tomorrow!!! I am going to have fun session experiencing the 10-Step Korean Skincare Regimen featuring its curated selection of Asia’s best beauty brands! never try rimmel. Would love to try that soon! What's the difference between BB cream and CC cream? BB Cream stands for Beauty Balm Cream - texture more creamy and moisturizing. It has sun protection but lack of anti ageing serum. Now they have DD Cream too. DD Cream stands for Daily Defense Cream - to me DD is the combination of both BB and CC Cream. It protect skin and prevent moisture loss in skin and it helps to balance uneven skin tone too. Aw, would love to try the EA BB Cream too! You look great, sweetie! Hi Billy! 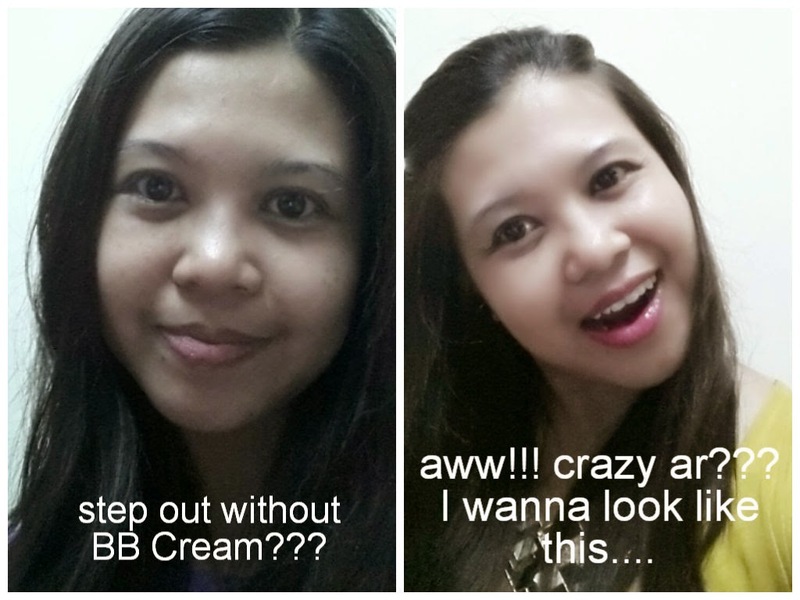 yeah...this BB Cream is good!